A reckless driving charge in Virginia is often not taken seriously because most people don’t understand how serious a reckless driving ticket is in VA. Even a first offense reckless driving ticket is a criminal offense in Virginia. In most reckless driving cases, the police officer hands over a yellow ticket to the offender. The offender who has no knowledge about the stringent laws about reckless driving charge in Virginia receives the ticket assuming that it is yet another traffic ticket. If you have received a reckless driving ticket in Virginia for the first time ever, you may be wondering, what did I do. I just drove a little too fast, how can I be charged with a crime.  Be aware that even a first time reckless driving ticket in Virginia can bring devastating consequences like jail time, fine or both based on the judge’s discretion. In addition to these penalties, on your record in the department of motor vehicles, this reckless driving conviction is recorded. This criminal record may result in serious collateral consequences in your personal life such as changing jobs, changing houses or even obtaining insurance or maintain your security clearance. Hiring an experienced attorney may be the solution to all your problems. There are lawyers out there who can work out a plea bargain with the prosecution without you having to appear in Court. At times, you may have to appear in court but the attorney you hired might have already explained to you in a detailed manner as to how the court would proceed with your case. For most reckless driving offenders, the day of appearing in court is like appearing for an interview. Your presence in Court on the date your case is supposed to be mandatory. However, there are situations where your experienced attorney has made arrangements with the prosecution to do away with your appearance on the court date. Driving above 20 miles per hour is considered reckless driving in Virginia. Reckless driving in Virginia does not end with fines. Only a strong defense strategy designed by a skilled attorney can help you try to avoid the consequences of a reckless driving conviction. 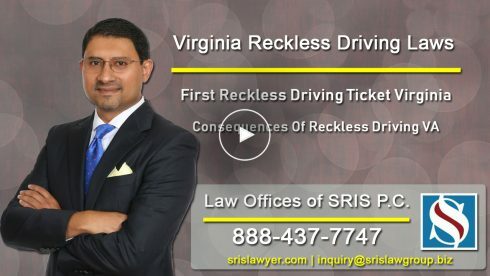 Mr. Sris has defended over 1000 reckless driving cases in Virginia.